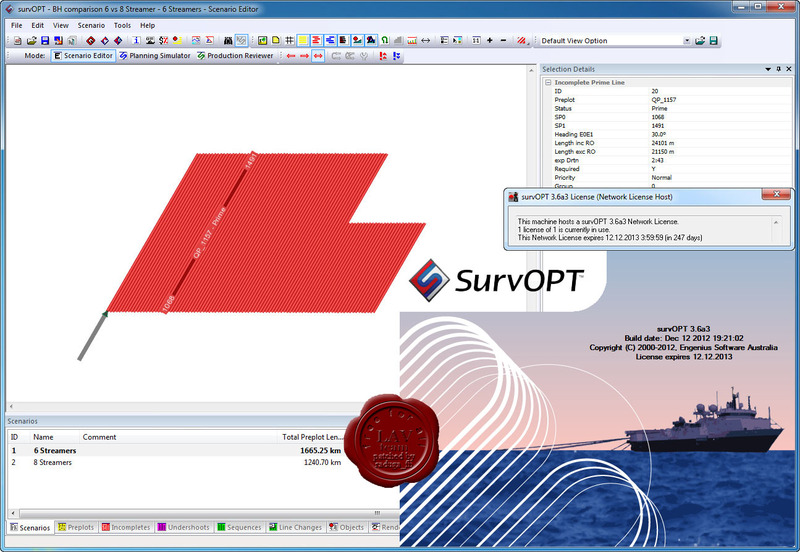 SurvOPT is the industry standard design and costing tool for Marine Seismic Surveys. SurvOPT is used by leading seismic acquisition contractors and many energy companies to plan, bid and efficiently manage billions of dollars of seismic projects each year. SurvOPT uses data about sail lines, obstructions, tides, currents and vessel performance to design efficient acquisition plans that cut days, and millions, from project duration and cost. SurvOPT marine seismic software is easy to use. All you need to get started is the survey polygon or a file of pre-plot lines.